Fun! Fun! Fun! 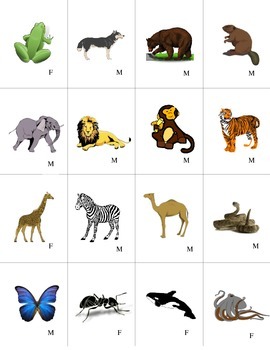 Your students will love learning and reviewing Animal vocabulary with these fun, hands on partner and group activities. No bingo chips or bingo cards needed to use as a Bingo Game. Once they are prepared they are ready to use year after year. Even the intermediate students enjoy the activities. 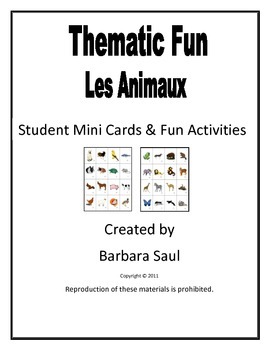 Instructions for preparing the sets are in the package along with many fun games and activities to make your classroom a fun place to learn! Easily adapted to other Languages!! 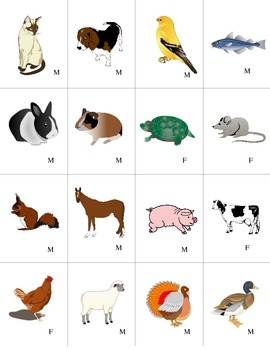 Other coordinating materials for working with Animal vocabulary are available in my store.